On a late Spring evening in 2007, Chris performed two concerts for an intimate audience in Lyme, Connecticut. These shows, as well as footage from a rare concert with a full band at The Somerville Theatre in Boston and a personal interview in Chris’s home, come together on this long-awaited concert DVD. 85 minutes, DVD, VHS, or PAL, includes music and tab book. 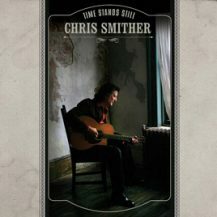 In this video, Chris Smither teaches the guitar arrangements to some of his most popular songs. You’ll learn the bass-line shuffle groove of “Link of Chain”, the sliding harmony figures of “Happier Blue”, and a load of great licks to pull them together (including Chris’s trademark use of his feet for rhythm accompaniment). Moving into open D tuning, “Hold On” features bluesy vibrato, bends and hammer-ons, while Roly Salley’s heart-wrenching “Killin’ the Blues” highlights his unique style of ballad accompaniment. Chock full of musical advice, clarity, and good humor, this lesson will add powerful licks and interesting ideas to your song accompaniments and blues technique. 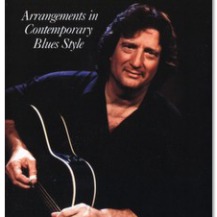 90 minutes, DVD, includes music and tablature. (Note: DVDs are formatted to play on universal players. On this DVD lesson, Chris shows you how he uses his alternating thumb and syncopated two-finger picking, along with a variety of left hand techniques, to create the rhythmic drive and distinctive harmonies that distinguish his unique arrangements. 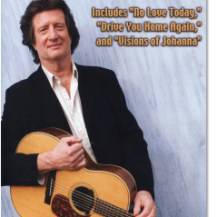 “No Love Today” (the fruit and vegetable song), a rich evocation of old New Orleans street life, is one of Chris’s most requested songs; “Drive You Home Again”, a moody minor-key blues, is the title song of one of his best-selling CDs; Bob Dylan’s titanic “Visions of Johanna” gets a new treatment; the humorous “Get a Better One” features infectious single note riffs against a steady bass groove; “Leave the Light On” is joyous, straight-ahead fingerpicking in open D; Lightnin’ Hopkins’ spooky “Blues in the Bottle” is played and taught on both 12-string and 6-string guitars. 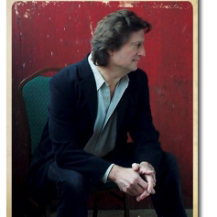 Chris’s wry humor and deep understanding of traditional styles help to make this an outstanding guitar lesson for all fingerpicking enthusiasts. This is a story that needs to be heard. In our media-saturated age of instant pop stardom, there is real danger that the tradition of the itinerant working musician is being diluted or lost. This is a concern expressed in the film by a number of artists. 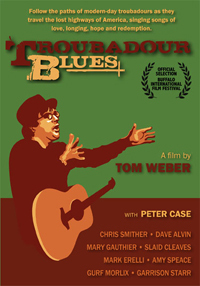 Troubadour Blues explores the hidden corners of our culture, where honest, authentic songs reflecting the human experience are still being composed and sung.